Rory McIlroy en route to his first “major” title - the 2005 Irish Amateur Close Championship at WestportWhen Graeme McDowell was asked at Congressional what they put in the water in Ireland to produce so many major champions in such a short space of time, he pointed to a tall figure emerging from the clubhouse. McIlroy’s eight-stroke victory in the US Open meant back-to-back major wins for Northern Ireland and the Golfing Union of Ireland system. Portstewart’s Paul CutlerAdded to Harrington’s Open wins at Carnoustie and Royal Birkdale and his US PGA victory at Oakland Hills, the island has claimed five of the last 16 majors, which is a truly astonishing statistic. McDowell finds it “surreal” himself yet he sees some method to the madness. Roscommon man Eugene Fayne, the President of the GUI, attributes a great deal of McIlroy’s success to his parent Gerry and Rosie. But he knows the the GUI has made its contribution. “As President of the Golfing Union of Ireland I’d say to you, of course our coaching systems and our elite coaching programme has been a huge factor in Rory’s development,” he said. “Obviously it’s not the only one but if you take the general progression of the game and of Irish players hitting the world stage in the last, whatever, eight years, all of them are guys that have come through the Golfing Union’s coaching programme. Whether or not Ireland can continue to churn out the stars remains to be seen but the GUI has put mechanisms in place that will enhance the odds of seeing young players such as 22-year old Paul Cutler (Portstewart), 21 year old Alan Dunbar (Rathmore) or 18-year old’s Dermot McElroy (Ballymena) and Paul Dunne (Greystones) follow in McIlroy’s footsteps. “But about eight years ago we underwent a strategic review in the union and we established at that stage coaching programmes at the various levels, junior, mid and elite,” Fayne explains. “Rory would be a guy who has come through all of those programmes. Ballymena’s Dermot McElroy“Our elite coaching programme is also entry in and competition in a number of selected events outside of your country, some in the UK, outside the Continent and even some as far away as Australia. Watching players like Dunne shoot 72 in horrific conditions on the final day of this year’s Irish Amateur Open to finish third in a high class international field is heartening. Cutler, Dunbar and McElroy are in the frame for this year’s Walker Cup team - a true testament to the strength of golf in Northern Ireland these days. 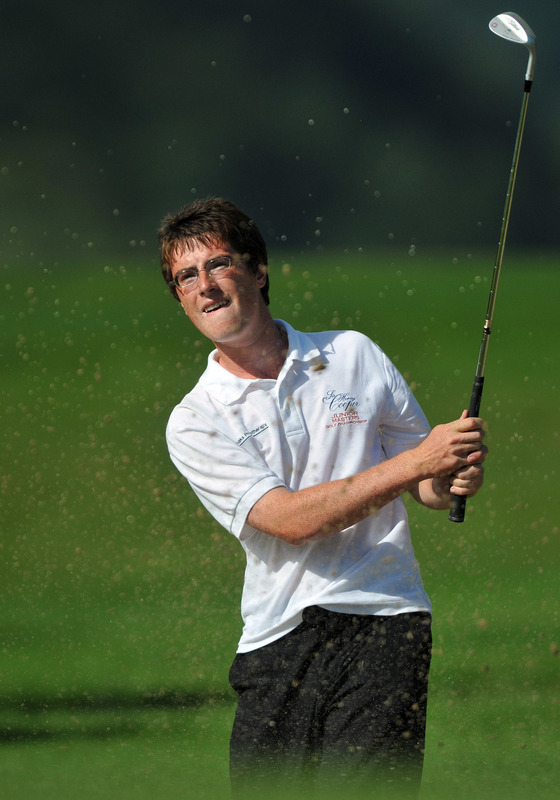 Greystones’ Paul DunneThe last man to pull off that double was a certain McIlroy from Holywood in 2005 and 2006. 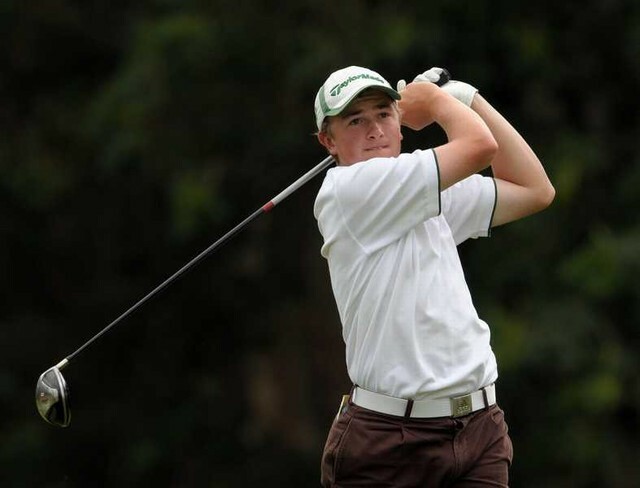 If he has even a small portion of McIlroy’s talent, the future of Irish golf is in good hands. Let the conveyor belt rattle on. The line that separates boys from youths and youths from men was blurred a little more this season with some outstanding individual performances both at national and international level. 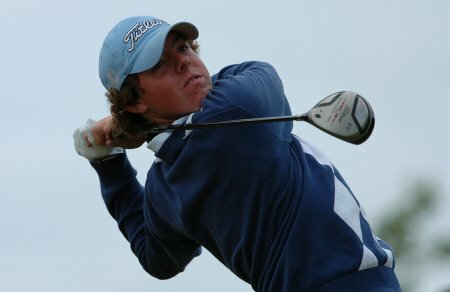 At 17 years of age, Holywood’s Rory McIlroy is still technically a boy, yet he played just once at youths level, won two domestic senior championships and then took the European Individual Amateur Championship to finish the season as the top ranked amateur in Europe and one of the best half dozen in the world. The Montgomerie Course at Carton House hosted the 2004 Irish Amateur Open and the Irish Open on the European Tour in 2005 and 2006. Ireland will host the International European Amateur Championship for the first time in the event’s 25-year history next year.